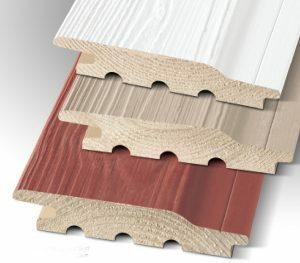 Pre Coated Exterior Cladding - Blamphayne Sawmills Ltd.
19mm x 146mm (120mm face cover). Unique Tongue & Groove Profile. 1 – UC3 Timber Protection to all Sides & Edges. 2 – Primer Weather Protection to all Sides & Edges. 3 – Paint Topcoat Protection to Exposed Topside & Edges. 4 – Paint Topcoat Protection to Exposed Topside & Edges. 10 Year Warranty on Opaque Painted Finishes. Opaque Light Grey – Ex-stock. Accessory Items available to complete projects, Corner pieces, Reveals, Matching Paint for cross cuts.